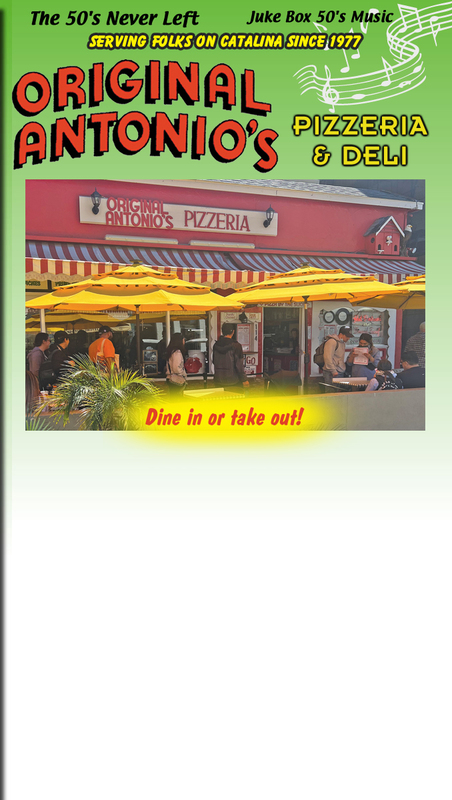 Step back into an authentic 50's-style pizzeria and deli at Original Antonio's, located a 1/2 block from the bay. and the best music from the 1950's make Original Antonio's a favorite local place to go in Avalon. Pizzas, pastas, salads, soups and hot and cold sub sandwiches all to eat in our nostalgic dining room or take it to go. We serve beer and wine, Pepsi and IBC sodas and Virgil's Root Beer on draft! For 37 years, Original Antonio's Pizzeria & Deli has been a favorite spot for lunch and dinner year round.